As FC-NVMe (NVMe over Fibre Channel) is preparing for it’s official launch, there have been numerous questions about how the technology works, how it gets implemented, and what makes it special when compared to traditional, SCSI-based Fibre Channel. When we did our first webinar on FC-NVMe [link], we got lots of questions about more details, more technical aspects, and more thorough explanations. So here we are! 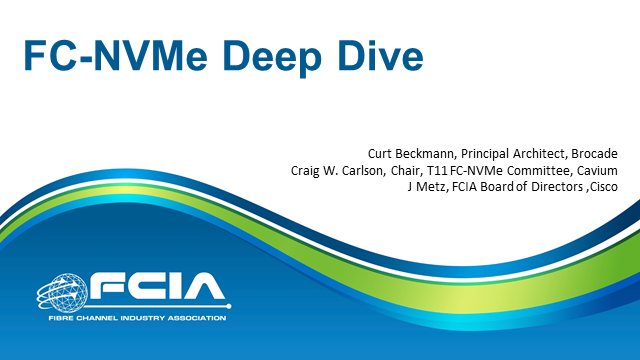 Please join us on August 29th for this advanced, deep dive on FC-NVMe.